Bookyourdata.com makes marketing to niche audiences easier with consolidated and accurate directories full of the important contact information of relevant business professionals. With this list, you can find programmers, software designers, and developers working at programming companies. You don't have to translate code when you're trying to get in touch with the right people at software and programming companies. Pull this ready-made contact directory to find all of the information you need to connect with computer programmers and software designers: emails, phone numbers, addresses, titles, and more. Get a database of accurate information that consolidates numerous contacts into one resource, and start connecting with people in this important industry now. Whether you want to market your products or services, network with a wide array of programming professionals, or find the developer who can bring your idea to life, this email list is a great resource. Connect with the programmers and designers responsible for computer software and applications easily by using the information on this list. We guarantee the accuracy of our data. If this business-to-business contact list can help you market your company or find the people you need to talk to, why not try it? It's affordable, and there are no hidden fees. 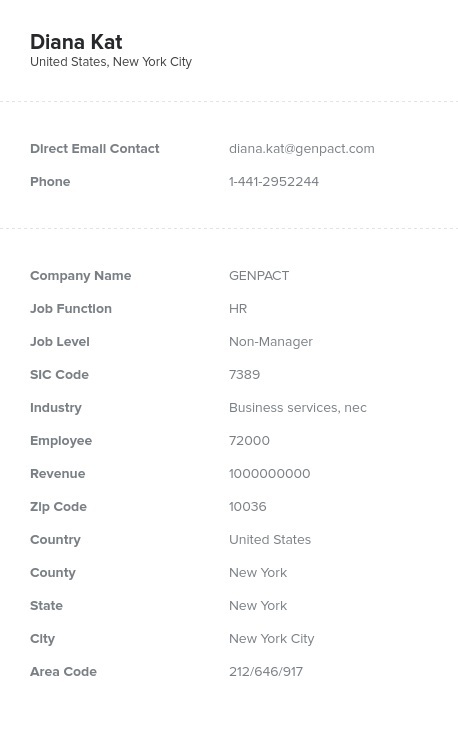 You can also experiment with our list-builder tool to find other contacts as well. Find those working at companies within this industry easily with this ready-to-download product. Try it! Connect with programers and developers easily today!